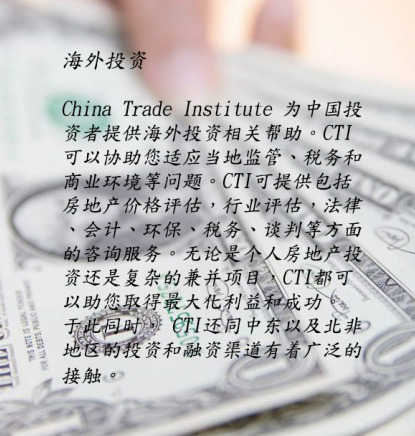 China Trade Institute is currently involved in a major project to provide information on orienting domestic Chinese investment into the United States and other appropriate jurisdictions. Consideration has been given to the various appropriate regulatory, tax and business environment issues. Requsite analysis is undertaken on a per project basis to include real estate evaluation, industry assessment, legal, accounting, environmental, tax, negotiation and other strategic considerations. CTI enjoys a synergistic relationship with middle eastern and MENA investment and financing sources that provide a gateway to that region and Africa. 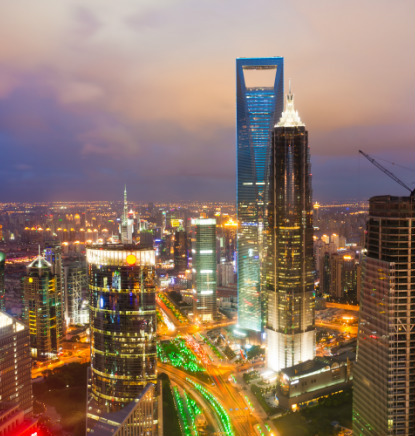 The Institute can accommodate a wide spectrum of China outbound investment interests including from small individual real estate investment goals to complex merger and acquisition opportunities.